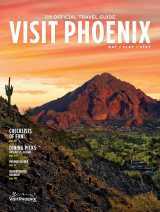 Visit Phoenix applauds Governor Brewer for vetoing this bill and delivering the clear message that Arizona remains a welcoming place for all visitors. We opposed this bill not only because it was detrimental to the state’s economy but because it would have sullied Phoenix’s reputation as a diverse, inclusive and cosmopolitan travel destination. We also believe that the massive opposition to this bill within Phoenix and across our state—from individuals, churches, businesses, chambers of commerce, mayors of the state’s largest cities, both our U.S. senators, the majority of our representatives in the House, and, finally, our governor—communicates the true character of Arizona.